This project transformed this previously cramped home into a spacious, art deco haven. The new kitchen and dining area was a great place for entertaining friends, or cooking a nice family dinner. 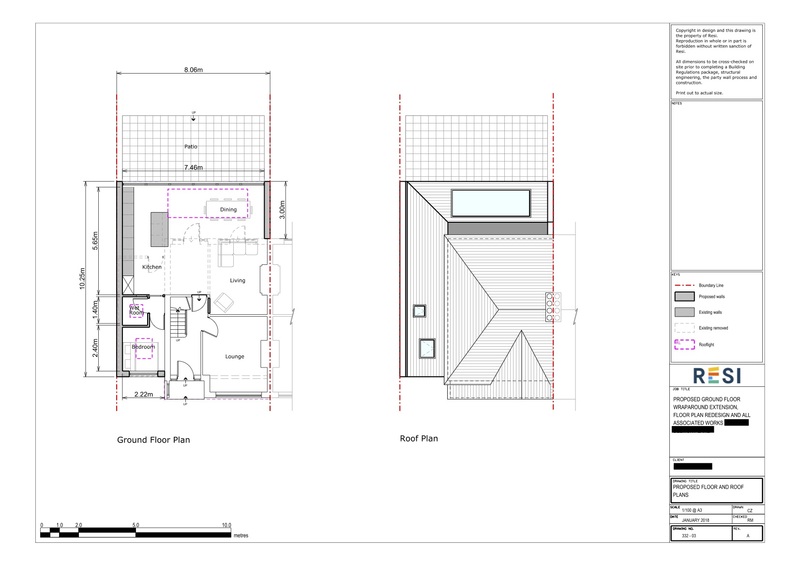 This project was carried out under householder planning permission, which was granted on 2nd August 2018. 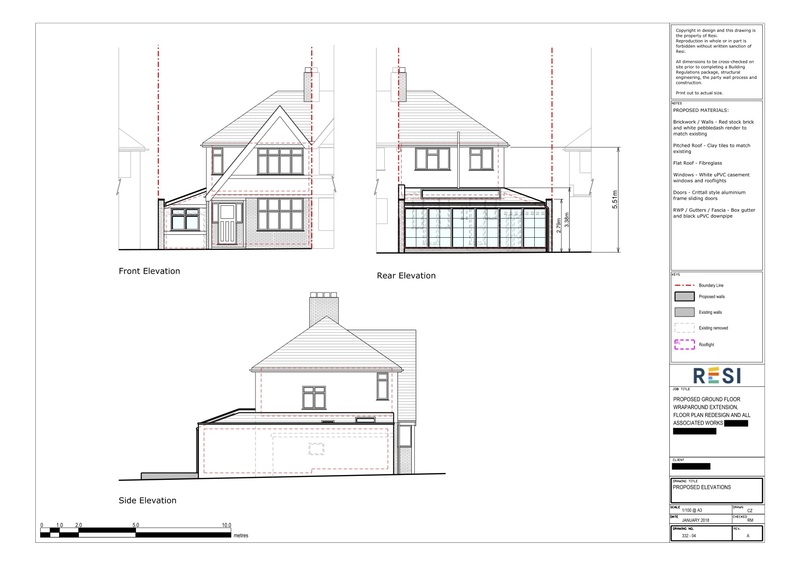 Our client was looking to build a wraparound extension, which would cover the rear and left side of their house. They wanted to use the new space for an open plan kitchen, dining, and living area. Their proposed design scheme was art-deco, with lots of natural light. I designed a large, open plan kitchen, dining, and living area in the new extension, with a kitchen island to break up the space. The dining area was spacious enough to fit a large dining table, and above this table was a skylight that expanded across more than half of the width of the property. The current garage was transformed in a double bedroom, with a wet room attached. The real piece de resistance was the crittall style doors with aluminium frames, that expanded across the entire rear of the house.